We here at Norm Reeves Honda Superstore Irvine understand that the car buying process can be a stressful ordeal. With figuring out what vehicle meets your every need and want, to decide what vehicle will perfectly fit your budget, it’s not difficult to get caught up in the mix of information. However, no one should ever have to feel this stressed just to buy a new vehicle. At Norm Reeves Honda Superstore Irvine, we aim to help all of our customers from Anaheim, Lake Forest, and Laguna Beach avoid the unnecessary stresses of the car buying process. This is why we have posted our 2019 Honda vehicles online. We understand that not everyone has the time to sit and search the details of every car on the market today. With our vehicle reviews, we’re helping you save time by taking a bulk of the work you would usually do when you research and doing it for you. 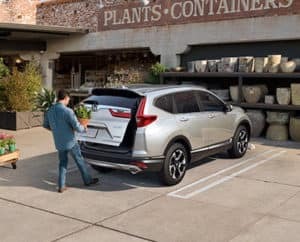 Every review completely explains everything about our new Honda models from the exterior features, the technologies, the upgrades, the performance, and even the interior design. To access all of this information, all you’ll need to do is click and read. We’re sure that just after a little bit of time, you’ll be narrowing down your list of prospective cars, and you’ll be one step closer to finding your dream car. The main focus of your reviews is to give you all the details of the vehicles in our showroom so you can find the car that fits your lifestyle perfectly. Our reviews layout and explain all the features and upgrades to give you a complete understanding of what each vehicle can offer you. We want to help you identify to exact model that contains every feature and upgrade you need like an advanced navigation system or a fuel efficient system. In addition, we here at Norm Reeves Honda Superstore Irvine want you to be completely satisfied with the vehicle you purchase from us. We aim to have our reviews give you the best look into each new model you’re considering so you don’t feel like you have to settle on a model you don’t really love. At Norm Reeves Honda Superstore Irvine, we want all of our customers from Laguna Beach, Lake Forest, and Anaheim to get the best and stress-free car-buying process possible. So to accompany our extensive vehicle reviews is our extensive inventory of new Honda models and our used and certified pre-owned Honda models. With our extremely helpful sales, staff will help you every step of the way and answer any questions or concerns you may have about the models you read on our reviews online or the models that catch your eye in the showroom. If you’re still pulling your hair out searching for your ideal new car that contains every upgrade and feature you need, be sure to take a peek at our vehicle reviews online to access all the information you need to complete your search. 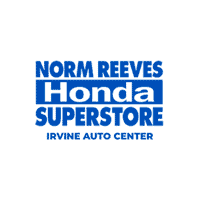 Let Norm Reeves Honda Superstore Irvine help you save time and avoid the stresses of the car buying process. If you live in Anaheim, Lake Forest, or Laguna Beach, and you have already found the perfect car, be sure to stop by and schedule a test drive today.